Paul Philbott, the head of Kia’s British division, recently announced plans to launch a new sports car by the end of the decade. The numerous publications that are referring to the yet-unnamed model as car maker’s first-ever sports car are forgetting the obscure, short-lived Kia Elan. Kia timidly made its first steps in Europe by selling a small Ford-based city car called Pride. Available as a five-door hatchback, a three-door hatchback and a station wagon, the Pride was not a big hit but enabled Kia to establish a foothold on the Old Continent. Following the Pride, Kia progressively expanded its lineup with a compact sedan dubbed Sephia, a SUV called Sportage and a HiAce-like commercial van that was christened Besta. These vehicles broadened Kia’s appeal but the company was still largely unknown to the average buyer so, in order to give its image a much-needed boost, the firm decided to develop a two-seater sports cars aimed squarely at the Mazda Miata. With almost no track experience to speak of, Kia looked to develop its sports car with another automaker and ended up in talks with England’s Lotus. Lotus was no stranger to working with Asian brands as it had already collaborated with Isuzu and, to a lesser extent, Toyota. 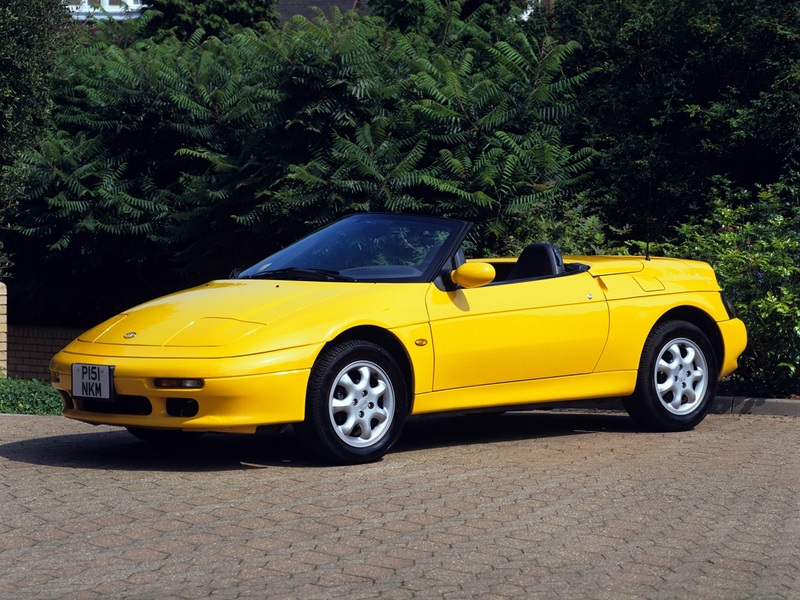 The negotiations took an unexpected turn when Kia acquired the rights to build the M100-series Lotus Elan, which debuted in 1989. 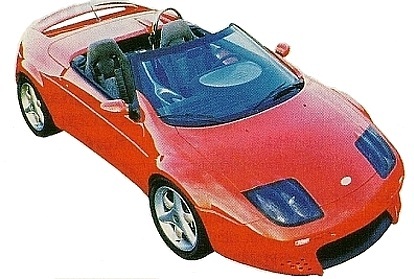 Wasting no time, Kia hit the auto show circuit in 1995 with the KMS-II, a concept car based on the Elan, in order to gauge the public’s reaction to its upcoming sports car. The concept created quite a buzz in the South Korean press so Kia execs gave it the green light for production. Although the KMS-II was based on the Elan, the two vehicles looked noticeably different. This can’t be said about the production variant of the car: Save for Kia emblems on both ends, the biggest visual differences between the Korean and the British versions of the Elan were model-specific tail lamps and 15-inch alloy wheels. On the inside, Korean-built Elans were fitted with new switches and a redesigned steering wheel but nearly everything else was borrowed from Lotus. Kia replaced the Lotus Elan’s Isuzu-developed 162-horsepower four-cylinder engine with a 1.8-liter DOHC mill sourced from the Sephia parts bin. Bolted to a five-speed manual gearbox, the engine made 151 horsepower and 137 lb-ft. of torque, enabling the 2,358-pound droptop to hit 62 mph (100 km/h) from a stop in 8.7 seconds and reach a top speed of 136 mph (220 km/h). 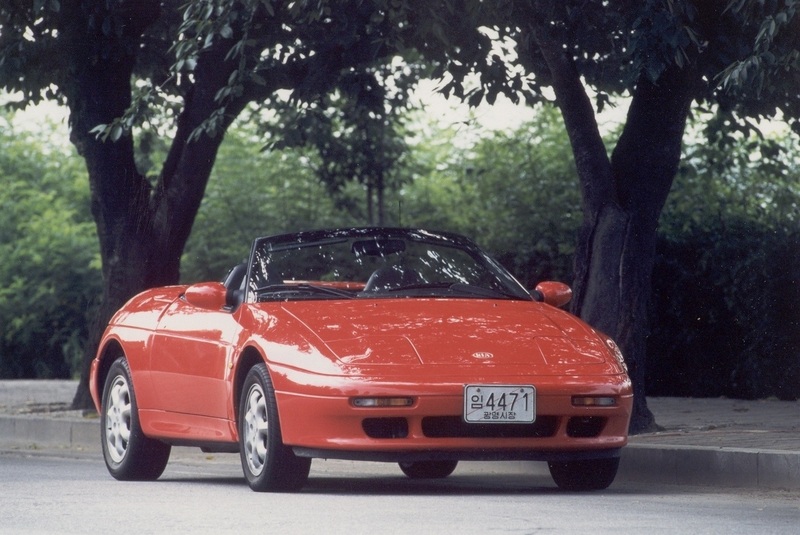 The Elan retailed for ￦27,500,000 when it was launched in South Korea in July of 1996. Demand was low and only 100 examples were built that year. 461 Elans were made the following year, but the foundations of the South Korean economy were starting to crack under the pressure of Asia’s financial crisis. Kia collapsed in the summer of 1997 and it was resurrected by Hyundai in early 1998, forming what has become one of the largest chaebol in South Korea. In spite of Kia’s near-death experience, production of the Elan continued and the roadster was even imported to the United Kingdom in very small numbers but sales were dismal. Production dropped to 154 examples in 1998 and just 75 in 1999. The final 2 Kia-badged Elans were built in 2000. The first photo was kindly provided by Kia U.K.’s archives department. Tags: Kia, Kia Elan, Lotus, Lotus Elan. Bookmark the permalink. Previous post ← Open mic: What classic car would you take on a trip around the world?